Germany coach Joachim Loew brushed aside criticism that his team are a far-cry from winning a fourth World Cup after they struggled to a 2-1 extra-time last 16 win over outsiders Algeria on Monday. "It's not a stroll in the park in the World Cup," Loew told German TV. "There are always some matches like this in a tournament where you have teams that fight hard, where the opponents are defending really tough and playing aggressively." Loew, whose fancied team lost in the 2010 semi-finals as well as in the 2006 last four, pointed out that he had warned Algeria would be dangerous opponents. "You need matches like this one at the World Cup. At some point you've got to expect a match will go into extra time." 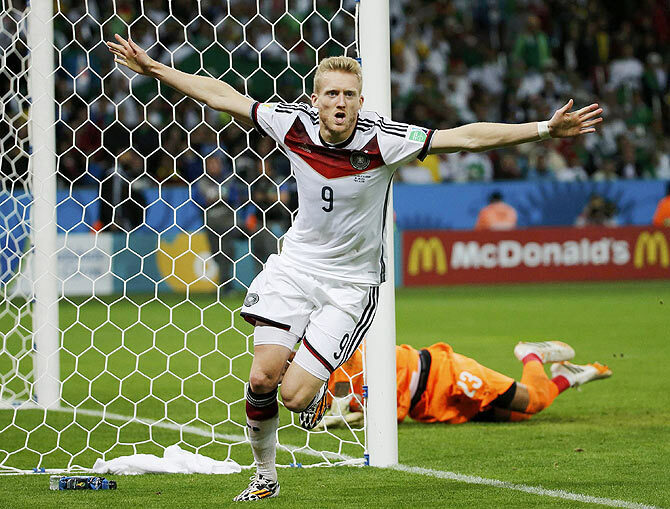 Germany were pushed all the way by an inspired Algeria before Andre Schuerrle and Mesut Ozil scored in extra time, Abdelmoumene Djabou grabbing a consolation goal just before the final whistle. Germany will meet France in the quarter-finals. Expectations have been high on Germany after they crushed Portugal 4-0 in their first group match but they then struggled to a 2-2 draw against Ghana before just beating the United States 1-0 to take top spot in Group G.
Loew acknowledged his team did not play as well as they could have and lamented poor finishing once again. "The match (against France) has to be better," he said. "We gave up the ball too much, especially in the first half, and practically invited Algeria to run counter attacks against us. We were the better team in the second half. We had enough chances to have decided it before going to extra time. "At the end of the day it was a victory of will, our strength of will." Loew said that he was forced to re-arrange his back four due to an illness to Mats Hummels, the centre back and bulwark of Germany's defence in the group stage. He ignored criticism that he waited too long to bring on Schuerrle, who had played 28 minutes in two of Germany's three group matches, and Sami Khedira. "They brought some fresh impulses into the match," said Loew. "Andre did a good job. That's what was missing in the first half, the finishing." 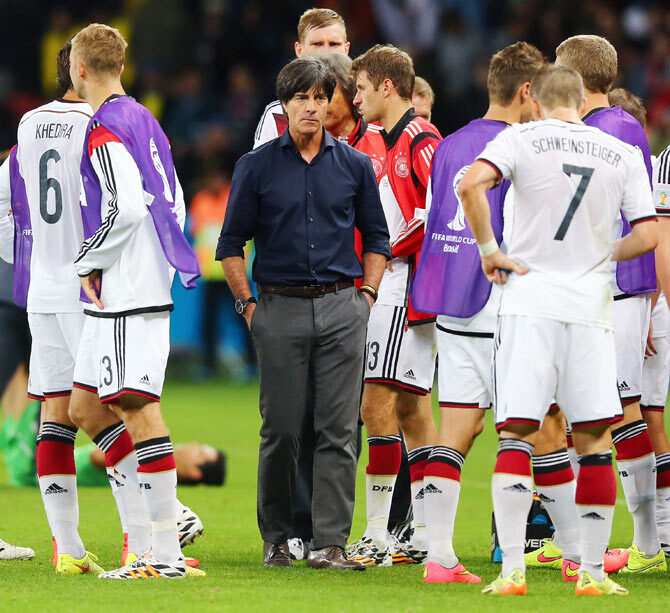 Loew said that he was always confident Germany would prevail against the tiring Algerians. "We were in better physical shape than Algeria," he said. "You could see they were quite knocked out after 90 minutes and not able to play all out in extra time the way we were."